US Custom thermoformer, TEQ Thermoform Engineered Quality has upgraded its Huntley, Illinois facility to increase operational efficiency and safety, as well as reduce energy consumption. 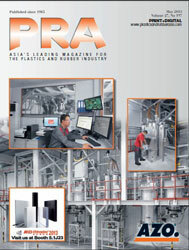 The machinery and infrastructure improvements included the construction of a second ISO 8 level (Class 100,000) clean room designed to accommodate two state-of-the-art thermoforming lines; the addition of a new Kiefel KMD85 all-electric servo motor-driven thermoforming machine, which offers improved process control, efficiency and safety as well as reduced energy consumption; as well as the acquisition of three additional, world class Kiefel thermoforming machines, with upgraded technology and improved process and material control features. According to TEQ, the upgrade will enable them to enhance the safe and efficient manufacturing of medical devices and sterile packaging for their clients in the healthcare segment.